It's stunning. I absolutely LOVE this card. OH, my this is simply stunning! Who knew silver and black would make such a beautiful holiday card? So pretty! Your card is stunning Pamela!! I just love the classy elegant style with the black and silver!! 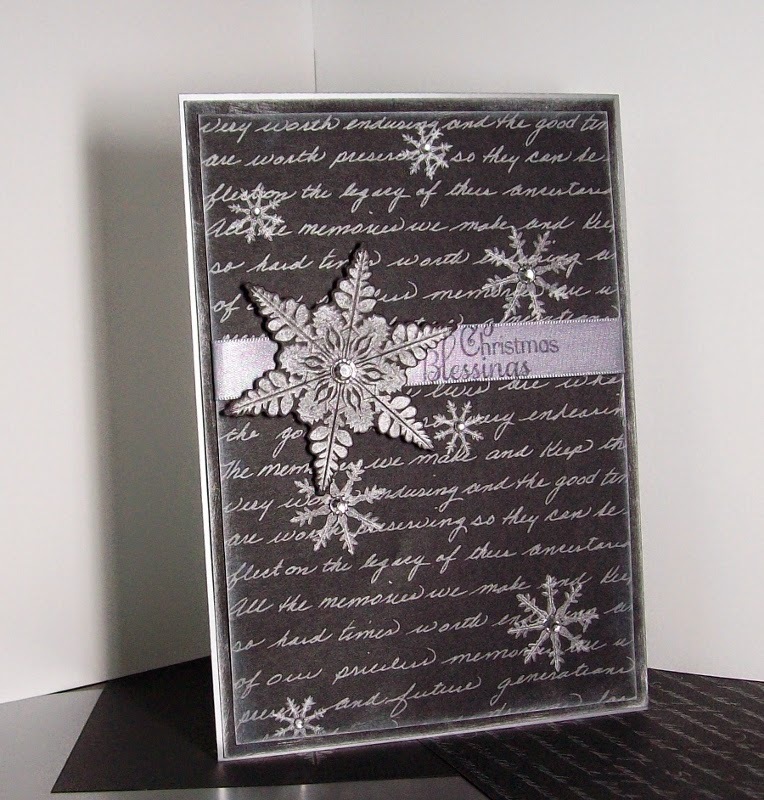 The snowflakes with all the script is such a beautiful design!! I so enjoy viewing your creations for the Shining the Light challenge!! Thanks so much for joining us!! Oh, Pamela, this is STUNNING! (And I see you found out that you won the Spotlight!) An absolutely gorgeous card with the elegant paper and the snowflakes!! Definitely a beautiful card!! So glad you've joined us again for the ODBD Shining the Light Challenge! Can't wait to see what you will do for this new one! Warm hugs!